How do you know if you’ve saved enough money to afford to retire? And what’s the best way to draw down your hard-earned retirement savings to last the rest of your life? These are tough questions that can stump trained actuaries and investment advisers, let alone ordinary workers who are approaching their retirement years. I’ve thought about these questions often as a consulting actuary, financial writer and researcher who has studied the topic of retirement for more than 40 years. Now that I’m in my mid-60s, I need to answer these questions for myself. Learn the four steps to help you plan for retirement health care costs. Cautious retirees conserve their savings, minimizing withdrawals or treating savings as an emergency fund. Carefree retirees “wing it” and use their savings like a checking account, spending on current living expenses without a plan to make their savings last for life. Often, they spend too rapidly at an unsustainable rate. Both groups can do better. The first group could benefit from a strategy that allows them to spend more in retirement and still feel safe. The second group should spend their savings more wisely, so they won’t outlive their money. To help older workers and retirees answer these tough questions, I recently led a research project at the Stanford Center on Longevity (SCL) in collaboration with the Society of Actuaries (SOA). Co-authors were well-respected retirement researchers Wade Pfau and Joe Tomlinson. We developed a rigorous analytical framework and compared 292 retirement income strategies for hypothetical retirees to identify a straightforward retirement strategy that can be implemented in virtually any traditional IRA or 401(k) plan. We looked at various combinations of Social Security claiming ages, systematic withdrawals from invested assets, and annuities from insurance companies. The Spend Safely in Retirement Strategy compared favorably to these strategies using eight metrics, including the amount of retirement income and undesirable volatility. What we came up with is simple enough that you can implement it on your own, although you could find an advisor to help if you prefer. With this strategy, you don’t need to buy an annuity from an insurance company, which many people are reluctant to do. The first step is to optimize your Social Security benefits. That’s because Social Security benefits are a near-perfect retirement income generator, protecting you against several risks of living a long time: inflation, stock market crashes, and cognitive decline. It only makes sense to maximize the value of this essential benefit. If you’re single or the primary wage earner of a married couple, the best way to do this is to delay starting Social Security benefits as long as possible (but no later than age 70). The non-primary wage earner can choose between starting benefits at his or her Full Retirement Age (currently age 66), delaying benefits until 70, or starting benefits between these ages. 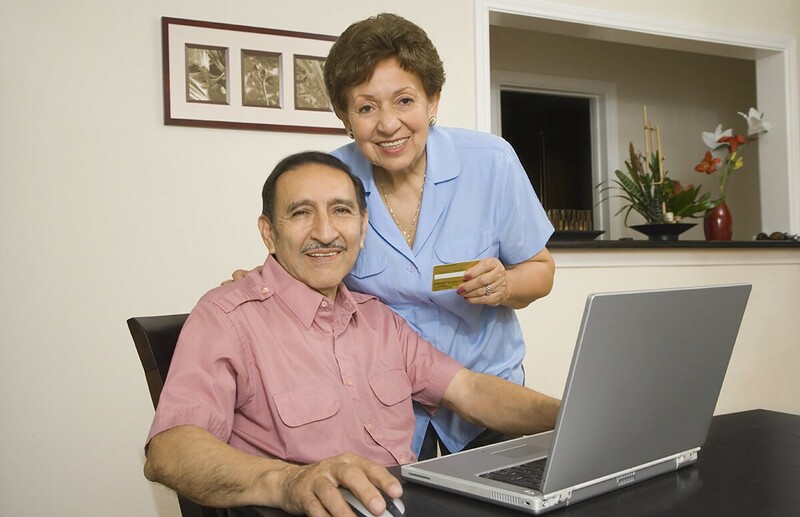 To squeeze the most from Social Security, use one of several online optimization programs to determine the best strategy. (This Next Avenue article has information about some good ones.) If that’s too intimidating, you could work with an advisor who’s experienced at optimizing Social Security benefits. For many retirees, optimized Social Security benefits might be all the “annuity” income they need. The SCL/SOA research shows that for workers with less than $1 million in savings, Social Security can deliver two-thirds to more than 85 percent of their total retirement income, which is why they might not need to buy an annuity from an insurance company. To supplement Social Security income, the Spend Safely in Retirement Strategy recommends that retirees invest their savings in low-cost mutual funds that are common in IRAs and 401(k) plans, such as target date, balanced, or stock index funds. Use the Internal Revenue Service Required Minimum Distribution (RMD) formula to determine the annual withdrawal from these savings. Many IRA and 401(k) administrators can calculate your RMD and pay it automatically in the frequency you specify. Workers in their early to mid-6os who are tired of the grind might consider downshifting and working just enough to pay for living expenses until 70, if they’re healthy enough; this lets them delay taking Social Security benefits and drawing down savings until that age. To make this method work, they might need to reduce living expenses, which might be necessary anyway if they’re fully retired. For workers who aren’t willing or able to delay full retirement, the next best way to implement the strategy is to set aside a portion of their retirement savings into a “retirement transition bucket” that substitutes for the Social Security benefits they’re delaying. For example, if they would have received $20,000 per year from Social Security and are delaying Social Security for five years, they should set aside $100,000 and withdraw $20,000 per year from that fund during the delay period. This bucket can be invested in short-term bond funds, money market funds or stable value funds. You can use the Spend Safely in Retirement Strategy as a starting point for making important life decisions, including when you can retire, how much you can spend and whether you should work part-time in your 60s. After a life-long career studying retirement, this 60-something actuary will be using a version of the Spend Safely in Retirement Strategy himself! Continue reading for more Retirement Living topics and advice from Bethesda Health Group. When Should You Push For a Geriatric Assessment?